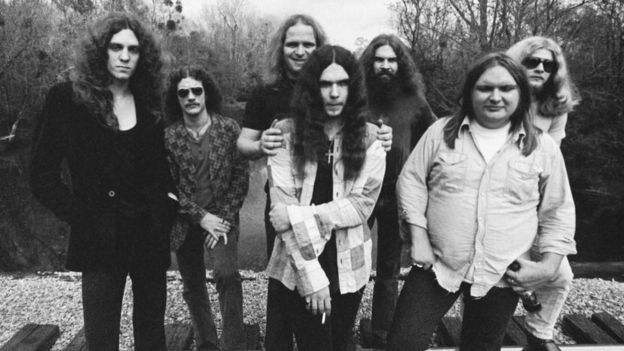 Former Lynyrd Skynyrd guitarist Ed King, who co-wrote the hit Sweet Home Alabama, has died aged 68. The musician died at home in Nashville, Tennessee, on Thursday, according to a post on his Facebook page. The cause of death is not known. According to Rolling Stone, he had been battling lung cancer. King, who was born in California, joined the rock band in 1972. He left three years later after fighting with lead singer Ronnie Van Zant. However, before he left he appeared on three albums, and can be heard counting «one, two, three» at the start of Sweet Home Alabama. The group disbanded entirely following a plane crash which killed three of its members, including Van Zant, in 1977. King rejoined Lynyrd Skynyrd after it reformed in 1987 for a reunion tour with Van Zant’s younger brother, Johnny, on lead vocals. But he retired in 1996, having been diagnosed with congestive heart failure. According to The Tennessean, King had a heart transplant in 2011. King, who performed with Strawberry Alarm Clock before joining Lynyrd Skynyrd, was inducted to the Rock and Roll Hall of Fame in 2006, along with all the surviving members of the band from before the crash. Fellow Lynyrd Skynyrd guitarist Gary Rossington said he was «shocked and saddened» by the news. Be the first to comment on "Lynyrd Skynyrd guitarist Ed King dies"